OUTSTANDING pacer Lennytheshark has a new home. Retired from racing last month, Lennytheshark will embark on a stud career in Victoria. To be more precise, the winner of seven Group Ones will serve as a resident sire at Empire Stallions during the upcoming breeding season. Lennytheshark will stand at the leading establishment alongside his father, Four Starzzz Shark. “We are very excited to be standing Lennytheshark this season,” said Empire principal David James. “We have followed his career with great enthusiasm and cheered him on every step of the way. His credentials are second to none and we believe that he will have wide appeal to breeders. Prepared by John Justice early in his career, Lennytheshark gave a glimpse of his greatness by capturing the New South Wales Derby at Tabcorp Park Menangle. With his three-year-old season was cut short by injury, Lennytheshark returned as a late four-year-old for the David Aiken stable, winning his seven starts for the term, including the Group One Vicbred Super Series Final. Making a seamless transition to open company the following year, Lennytheshark became Australia’s premier pacer, winning the Inter Dominion, Miracle Mile, Canadian Club Sprint and two Victoria Cups. Such was his dominance Lennytheshark was among the favourites in each race he contested for 32 months. 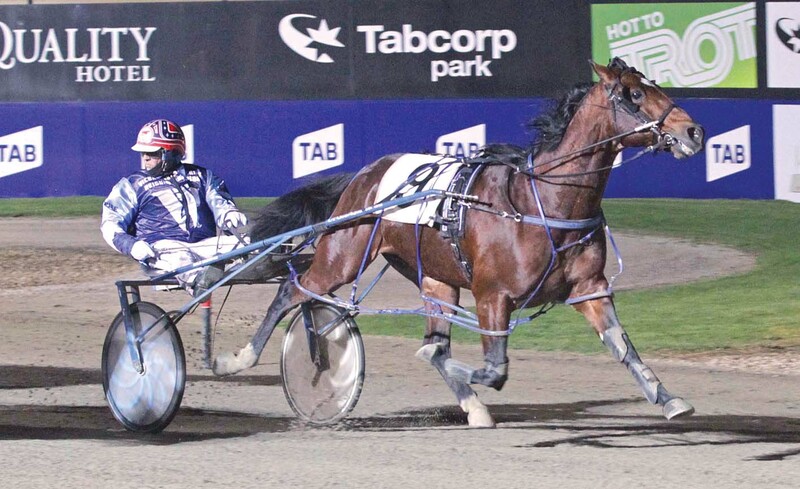 Lennytheshark had not hit double figure odds between paying $12.80 in the Len Smith Mile in April 2015 and $11 in the Inter Dominion Final last December. Affectionately-known as “Lenny”, the eight-year-old bankrolled $3,007,585 as a result of 39 wins and 33 placings from 82 starts, making him the richest Australian-bred stallion. He was also voted Australian Horse of the Year in 2016. As mentioned earlier, Lennytheshark is by highly-successful sire and World Champion performer Four Starzzz Shark. Along with Lennytheshark, Four Starzzz Shark’s progeny include Group One winners Frith, Molly Kelly, Jilliby Kung Fu, Makes Every Scents, Mouse In The House, Charlaval, Milly Perez, Bethany Aitch and Once Bitten. Lennytheshark’s dam, Botswana, is the matron of five winners from six starters, including Group One winners Led Suitcase and Blissfull Boy. Voted 2016 Australian Broodmare of the Year, Botswana is a half-sister to Group One winner, Newbold Penny – dam of record-breaking pacer, Penny Veejay. Lennytheshark’s progeny will be Vicbred Super Series, Breeders’ Crown, Bathurst Gold Crown, SA Southern Cross and NSW Breeders’ Challenge eligible – conditions apply. HOOFNOTE: Lennytheshark will make a farewell appearance at Tabcorp Park Melton on Saturday night.